Serrated: The serrated edge type is ideal for cutting bread or hard shells such as pineapples. 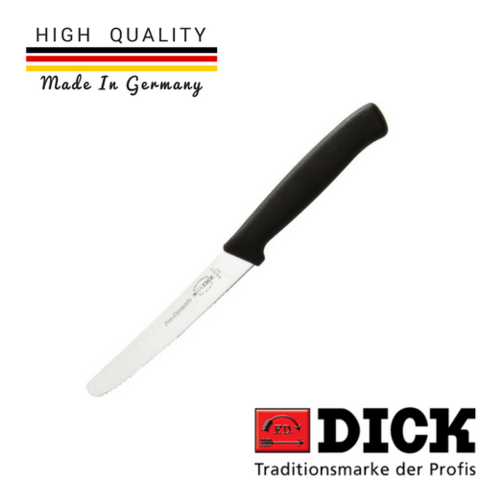 Kullenschliff: The indentations on the kullenschliff blade reduces the adhesion of food to the blade. Especially important with fatty foods.